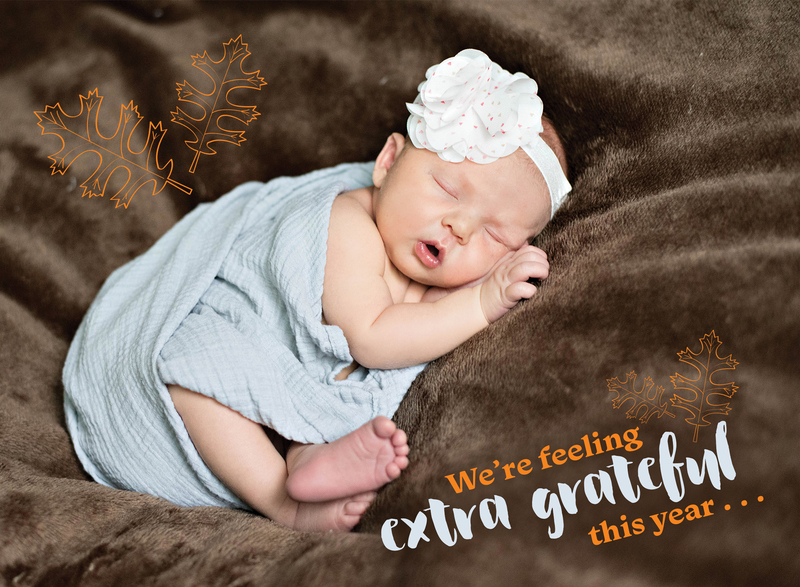 Card templates for holidays, graduations, and birth announcements can be super helpful. I’m sure you’re familiar with the various websites that offer them. But I’m sure you’re also familiar with the drawback of templates: limited customization. 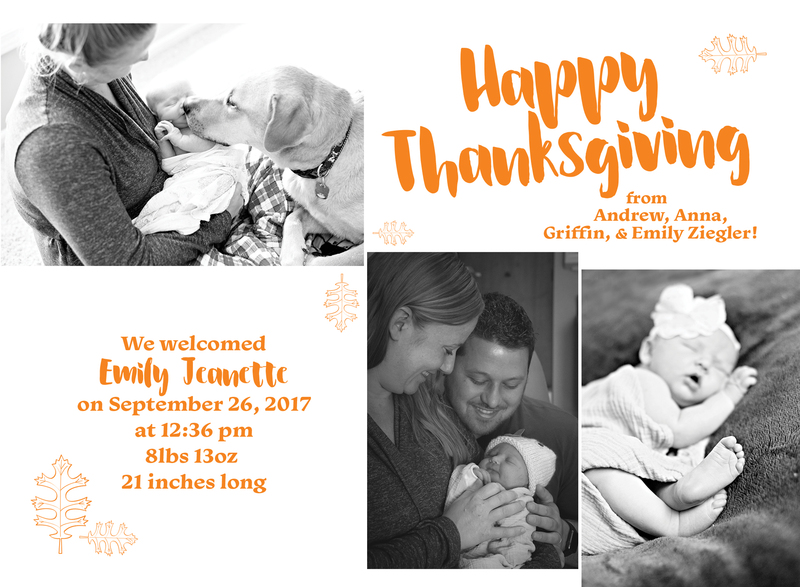 My friend Anna had the brilliant idea to combine her holiday greetings with the announcement of her daughter’s birth instead of sending multiple cards to the same people, but (unsurprisingly) Thanksgiving-themed birth announcement templates don’t exist! Welcome to the world, Emily Jeanette! You’ve made this Thanksgiving (and Christmas, and . . . ) extra special. Talk to me about what custom cards & invitations I could make for you! I typically charge $60 + printing fees for a custom two-sided card or invitation. Thanks! Great job on the photos!